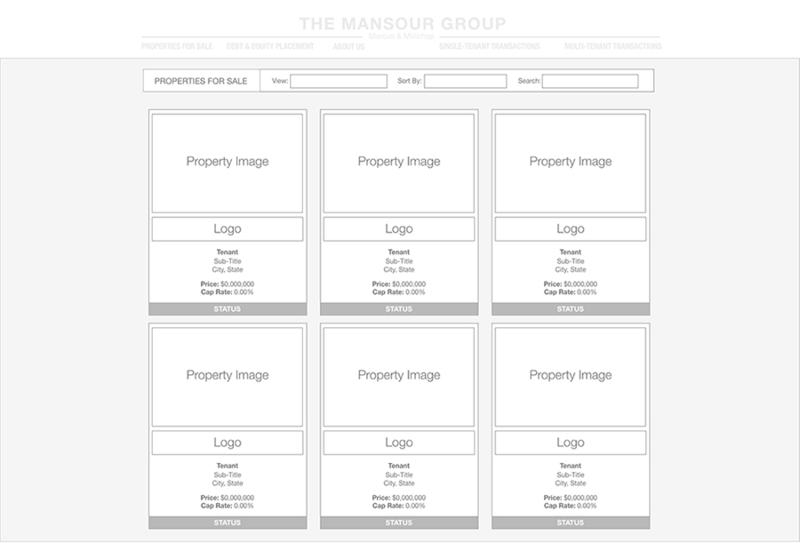 While working for The Mansour Group (TMG) at Marcus & Millichap, I redesigned the group's "Properties for Sale" page. A technical limitation led me to turn a request to add logos to property thumbnails into an opportunity to implement a new design that improved the page's functionality. 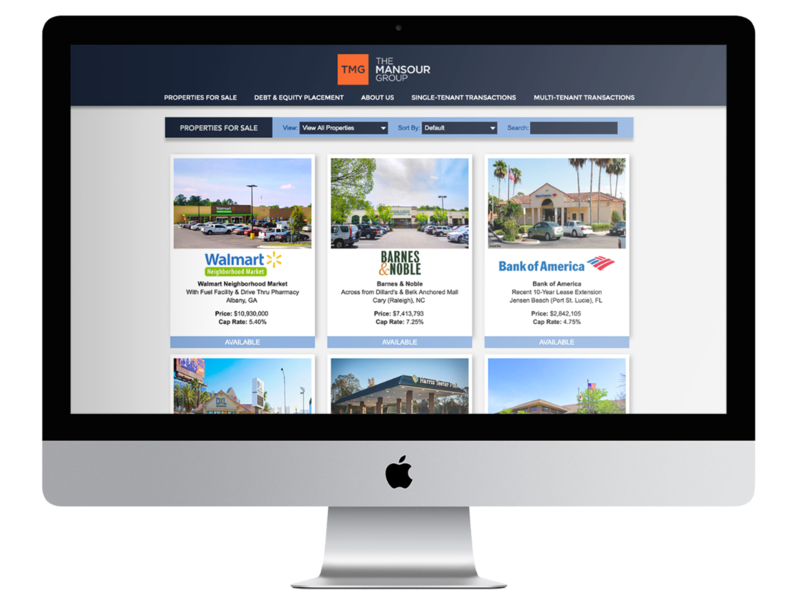 TMG is a nationally-ranked commercial real estate group within Marcus & Millichap specializing in the sale of net leased retail property. 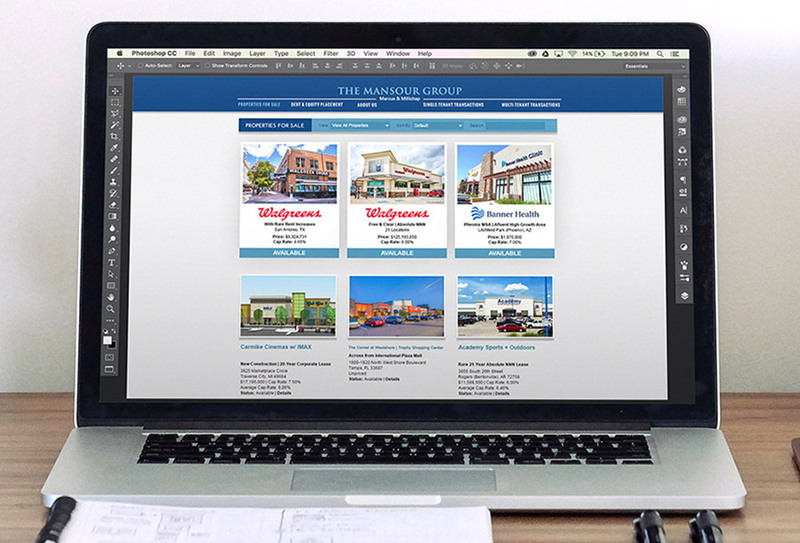 TMG uses its website to impress potential clients with past sales and showcase current listings. 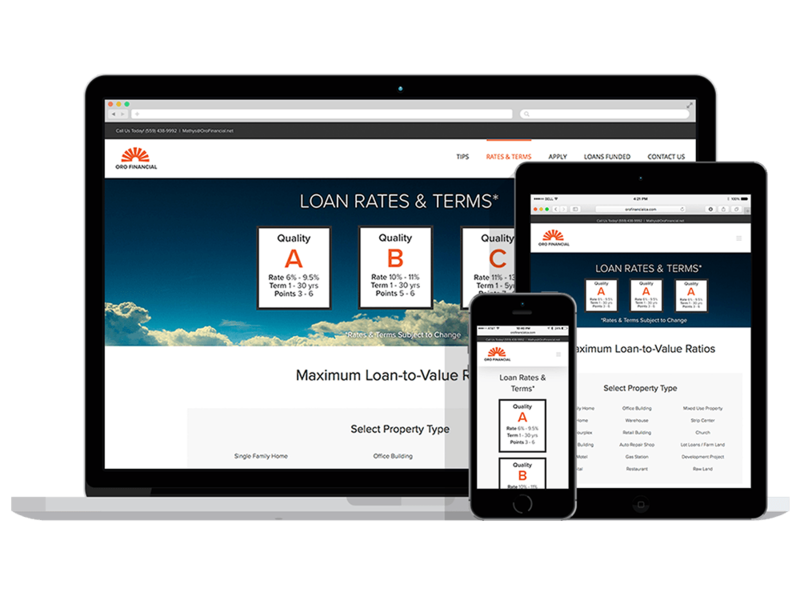 The original task was to add tenant logos to the "Properties for Sale" page, which had a grey background. Since the site CMS did not support transparency and all of our logos had white backgrounds, new versions of over 100 logos would need to be created to make this happen. 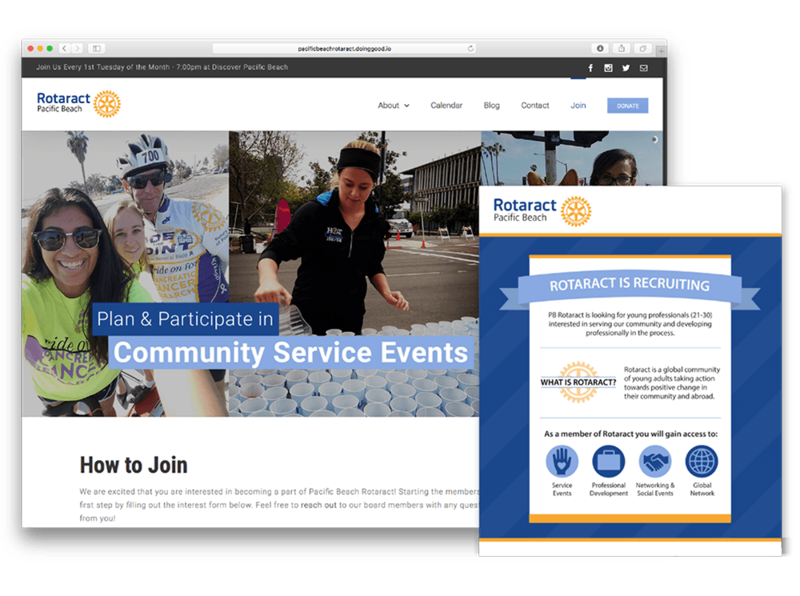 To save time, I came up with a solution that removed the need for new logos and improved the page’s functionality. Before the redesign, clients would often call to ask about property availability. Unfortunately for both the sales team and clients, this information was not clearly visible on the page at first glance. 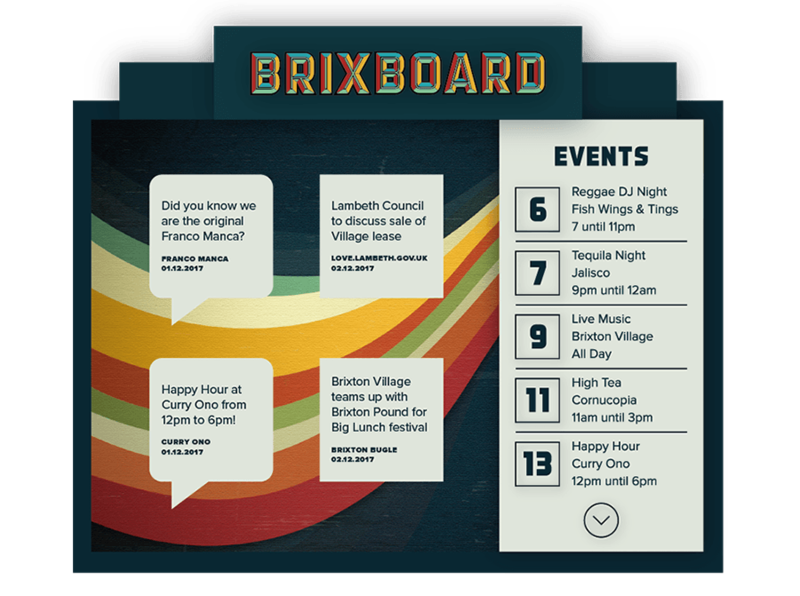 In addition, thumbnail navigation was confusing as link (Details) did not display characteristics that usually indicate clickable text. To solve the logo problem, I expanded the white frame around each picture so that it covered the entire thumbnail. 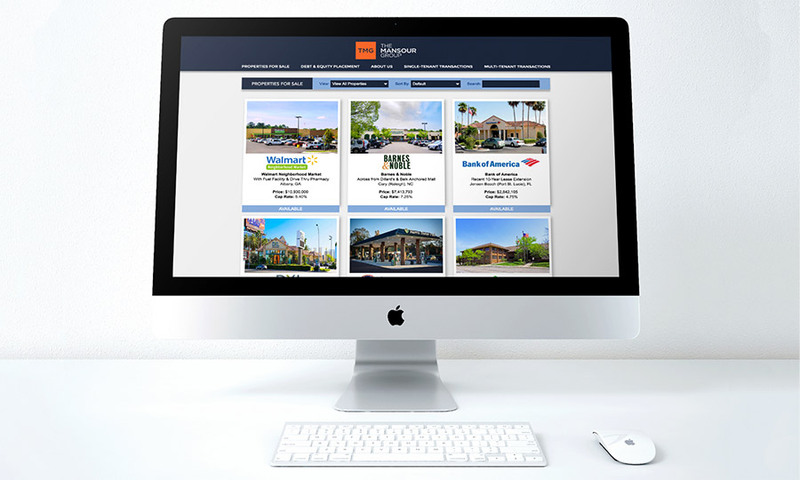 In addition to fixing the logo issue, the white frame helped property thumbnails stand out. To reduce clutter, I removed unessential information, in this case property addresses. 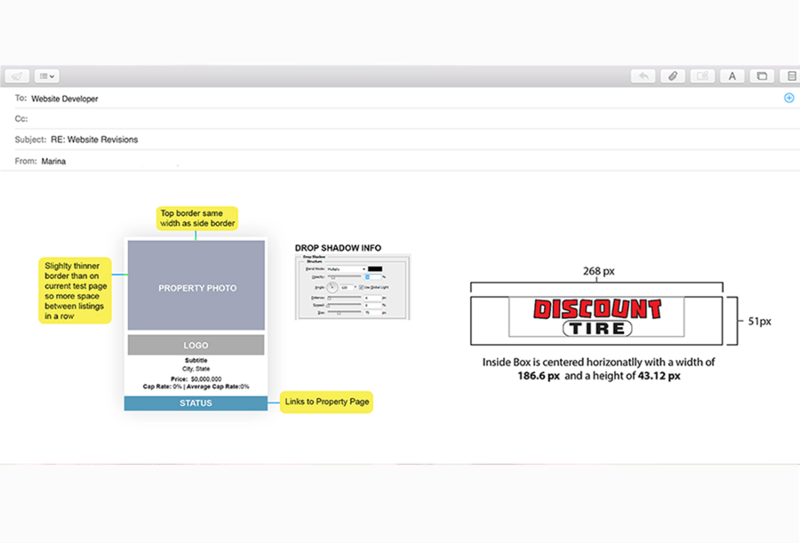 In addition, pricing and ROI was separated from the rest of the information. To highlight property status, I placed it in a rectangle at the bottom of each thumbnail. Color coding the rectangle (blue = available, grey = pending) allowed clients and the team to see property availability at a glance.